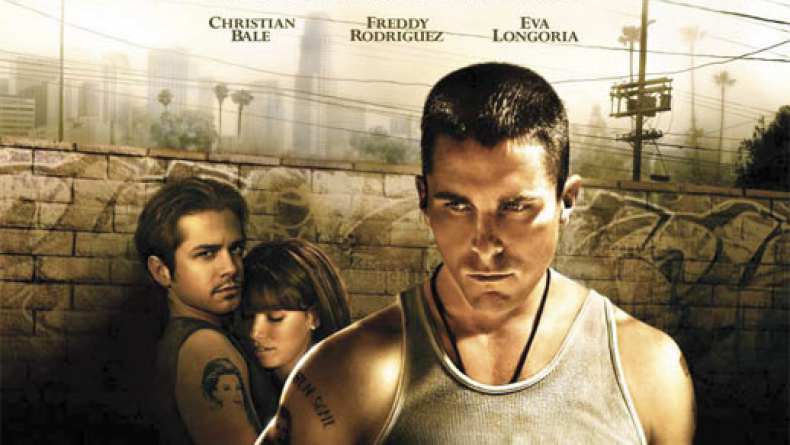 From the creator of Training Day comes Harsh Times, a hyperrealistic story of friendship, loyalty and ambition set on the extremely rough streets of south central L.A. As gritty and unsentimental as Training Day, Harsh Times follows two lifelong friends as they each try to rise above the violence of the streets yet are continually dragged back down by the world in which they live. Since coming back from the Gulf War, Jim Davis (Christian Bale) hasn't been able to get his life back on track. He still feels the residue of that far off desert on his skin, still screams in his sleep from visions he just can't shake. He has burned through his savings waiting for an offer from the L.A.P.D. that hasn't come. He tells himself that if he only had a job, everything would turn around - he could marry his devoted Mexican girlfriend, Marta (Tammy Trull), bring her back to the States and settle down. But until something else materializes for Jim - some other way to help his country and not die of boredom at some desk - he'll just chill with his best friend, Mike (Freddy Rodriguez), also unemployed. And Mike's longtime girlfriend, Sylvia (Eva Longoria), whom Mike helped put through law school, wants an equal, not a dependent, so he too finds himself on the job hunt. Jim offers to help Mike find a job, but instead they end up cutting a swath of chaos through the mean streets of South Central, looking for trouble - just like when they were kids. In a misguided quest to get their lives together they joyride, get high, plan for their glorious future and start trouble wherever they land. After the L.A.P.D. job evaporates and Jim gets a call from the much more complicated foreign office of Homeland Security, Jim and Mike's misadventures take on a darker edge, one haunted by violence and the echoes of combat Jim can't seem to shake. They no longer need to look for trouble - it's everywhere around them. As the city that was once their playground now seems to press in on them, each choice Jim and Mike make will not only test their loyalty to each other, but their ability to survive the mean streets they hope to leave behind.